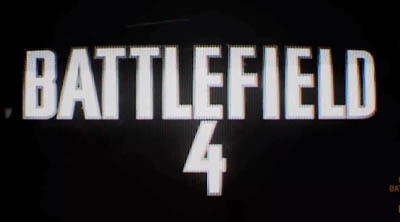 The first Battlefield 4 gameplay video has been released together with a new collection of screenshots. Promoting the new Frostbite 3 engine and the BF4 single player campaign, the video's an impressive treat! 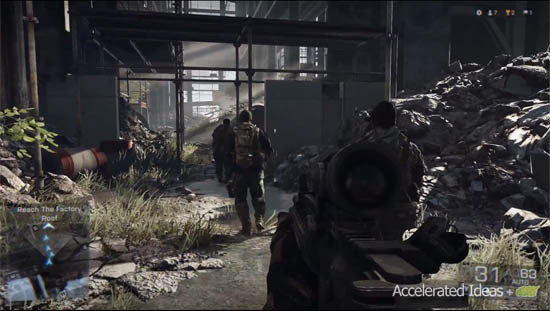 You'll see that destructible environments and pure realism are once again at the heart of the game. 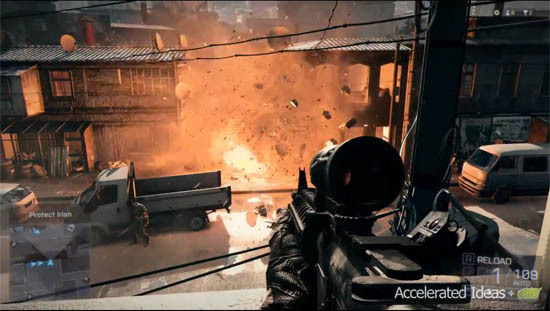 It's been 2 years since the release of Battlefield 3 and what could have been the best FPS of 2011 and ultimately the 'COD Killer'. 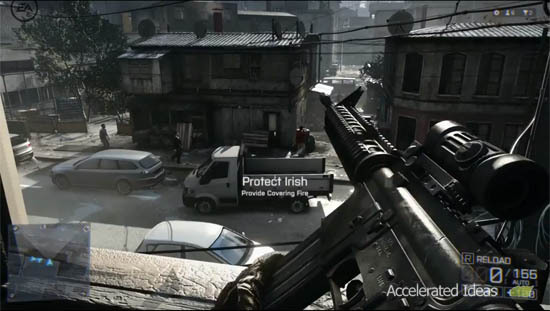 Unfortunately, BF3 turned out to be a disappointment and it was over shadowed by the barely impressive MW3. 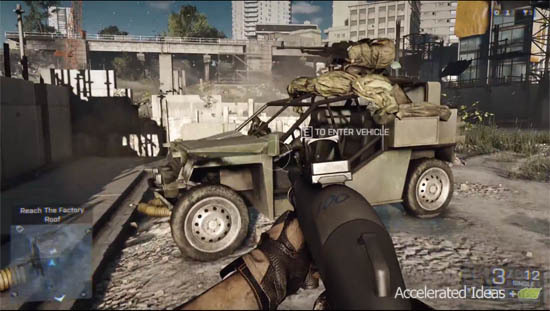 The biggest problem for BF3 was that it's single player campaign was little more than a backseat cinema experience. So things have come full circle again and the new 'world class' Frostbite engine is back again. It's been revamped and improved to bring us to the 3rd generation. 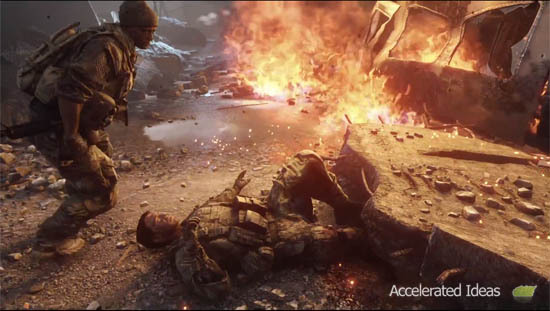 The new video footage is clearly a high end PC but there's talk of BOTH current gen (Xbox, PS3) AND next-gen consoles (PS4) included in the BF4 launch in Nov/Dec 2013. 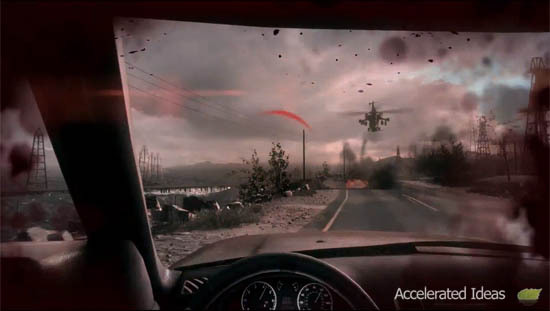 Two notes of caution…do you remember the BF3 trailers shown at E3 in 2011? Remember how amazing those visuals looked? Then 6 months later when the game arrived, console gamers knew they'd been had. 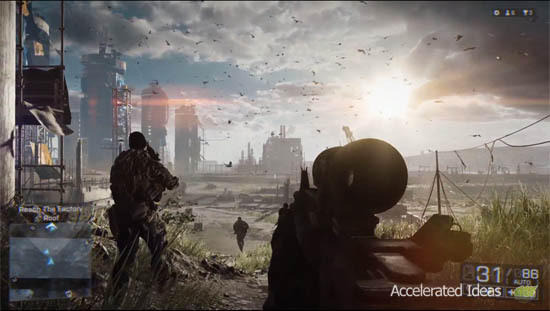 Let's hope that DICE won't make that mistake again especially now they've got the chance to use next-gen technology. Secondly…EA is involved in this and we all know the SimCity story.